We had a great morning today out on Stellwagen. We headed to the Northwest corner where whales were last seen yesterday. It didn’t take long before we spotted two spouts a couple of miles away. Within a few minutes we encountered a small pod of about five Atlantic white-sided dolphins. 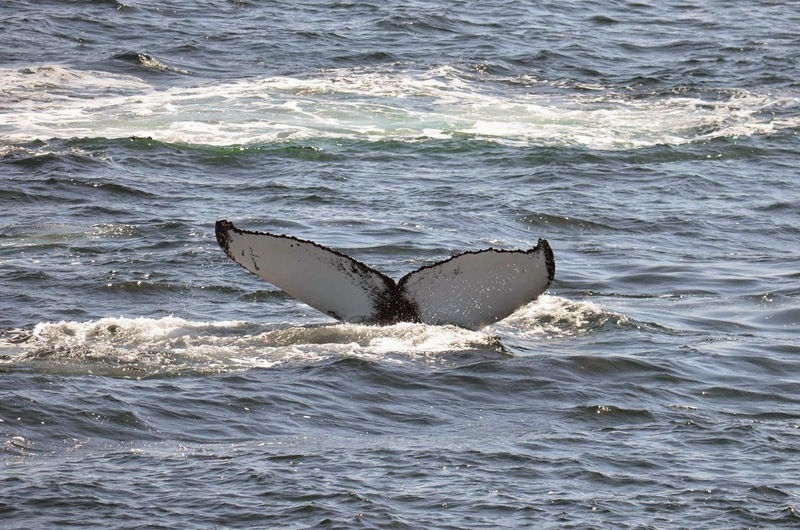 They stayed with us until we slowed down for at least three groups of humpbacks in the distance! We initially had a group of three surface. They spent a couple of minutes at the surface and then stayed underwater. Luckily, we had a very active group a little under two miles away. 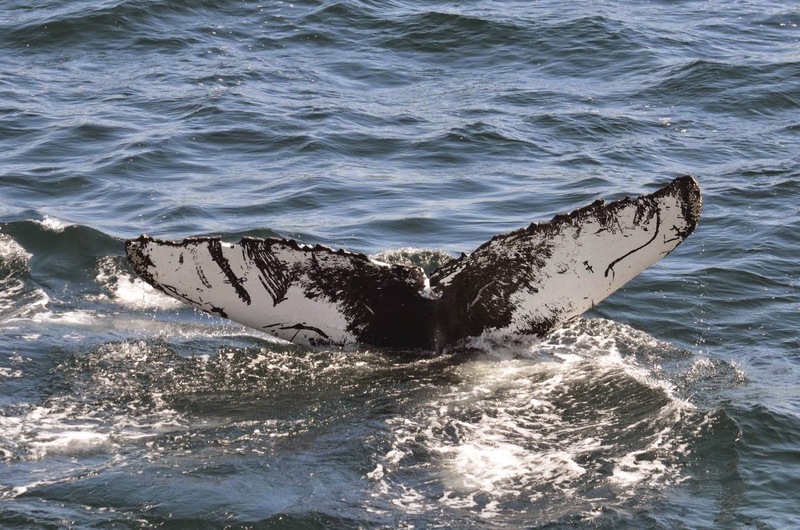 As we headed over, one of the juveniles breached. This was only the beginning-this group of 10-12 whales was extremely surface active, though rarely fluking. 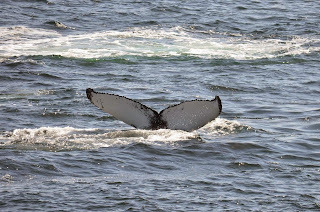 In addition to this large group of humpbacks, there were at least 12-15 other humpbacks in the area as well as 2-4 fin whales and 5-10 minkes. A pod of 20-30 Atlantic white sided dolphins also stayed in the area the entire time. 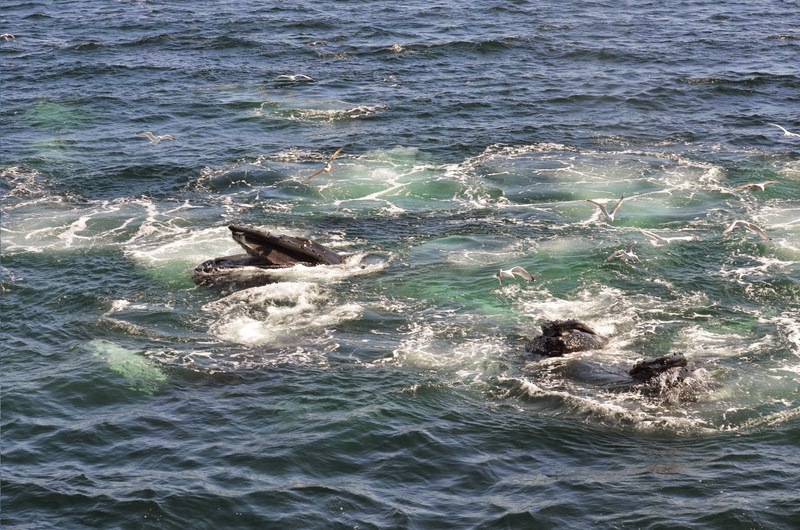 We spend the rest of the trip with this group of humpbacks. 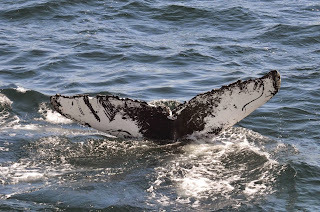 They were bubble feeding, kick feeding, as well as surfacing and trumpeting extremely close to the boat. There were also gannets and gulls swooping in and out to pick up the scraps. 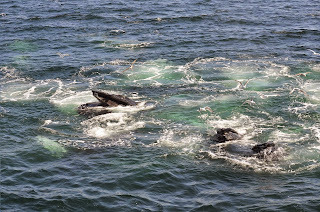 While these whales were constantly splitting up and joining together it was hard to tell who was associating with who-especially since they were fluking so infrequently! We identified one whale as Falcon and one, potentially, as Moonlight, but the rest will take a little more work to figure out! When we left the area, the group was still actively feeding and we consistently spotted spouts on our way out of the Sanctuary. It was a great trip!